How Does Another Slump in May Impact Matt Kemp’s Potential Trade Value? When it comes to hot streaks, slumps and everything in between on a baseball diamond, there’s not always a good explanation for what we see unfold. Add Matt Kemp struggling mightily in the month of May to that list. Since getting traded from the Los Angeles Dodgers to the San Diego Padres two winters ago, the season’s second month has not been kind to the outfielder. What’s even more interesting is Kemp has begun each season hot at the plate, but in very different ways. Joe Musgrove (Houston Astros; RHP): Musgrove might be considered under the radar to some, but his numbers are in a league of his own over the past year and a half. In 2015, he threw 100.2 innings, with a 1.88 ERA, 99 strikeouts, and only 8 walks between Single-A and Double-A. He started 2016 in Double-A, but quickly earned a promotion to Triple-A. In his first 8 games, he has thrown 37.1 innings, with a 0.96 ERA, 42 strikeouts, and only 5 walks. These incredible statistics should speak for themselves. Based on the Astros struggles in 2016, it would not be surprising to see Musgrove promoted at some point to provide depth and a kick start to their rotation. His elite command and above average ability to strikeout batters could provide a great 2/3 option in fantasy baseball at his prime. Matt Kemp has had quite the 2016 campaign so far for the San Diego Padres. In 167 plate appearances, he is batting .244, with 10 home runs, 29 RBIs, and 20 runs. While he doesn’t have the value he once did, he could improve many competing teams who have a lack of talent in their outfield. His power and run production could be a big boost to many lineups, including the Seattle Mariners. The Mariners are currently 22-17 and sitting at the top of the American League West. They aren’t necessarily struggling with run production, but their outfield doesn’t strike fear into many pitcher’s eyes. Their outfield is currently manned by Nori Aoki (.224 BA, 0 HR, 6 RBIs, 20 R, 2 SB), Leonys Martin (.203 BA, 6 HR, 14 RBIs, 16 R, 7 SB), and Seth Smith (.240 BA, 4 HR, 14 RBIs, 18 R). Realistically, Kemp could take over for any one of these players and provide an upgrade to the Mariners’ lineup. My name is Pete Kelich and I am a former minor league pitcher with the San Diego Padres. 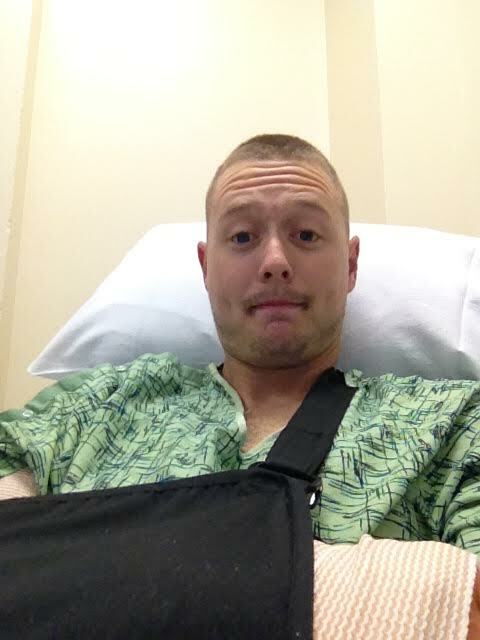 I had Tommy John surgery in May of 2014 – and navigated my way to a successful recovery. My goal is to help others that are going through the same obstacle with insight into my personal experience. Check out www.tommyjohninsider.com for more information. My objective of this blog is to highlight setbacks during Tommy John rehab and the importance of dealing with them in the right way. The most difficult part of Tommy John rehab is understanding that there WILL BE some bumps along the way. Unfortunately, TJ surgery has one of the longer and more intricate recovery processes already. So combined with the inevitable distractions and setbacks, it can really be a difficult rehabilitation to get through mentally and emotionally. Part of the reason why it can be such a mental and emotional roller coaster is the fact that as a player, you want to be out on the field doing what you love. You continue to see your friends or co-workers lacing up their spikes each day and after a while, that gets to be frustrating. For me personally, it wasn’t a jealousy issue at all. It was purely the fact that I wanted to be playing the game I loved. To put a positive spin on this topic, what sitting out for over a year will do for you is really make you appreciate each and every time you are able to lace them up. While going through rehab and the early stages of the rehab throwing program, I realized how much I took for granted.